Dec. 5, 2018: Kyle Swanson, a 2014 graduate of Bronxville High School and a 2018 graduate of MIT, was awarded a Marshall Scholarship to pursue graduate studies in the UK. The British government made the announcement on Monday that 48 students were awarded the scholarship this year. Marshall Scholarships offer up to 50 young Americans from an applicant pool of over 1,000 each year the chance to study for up to three years at any university in the UK. Kyle attended The Bronxville School from kindergarten through twelfth grade. He took a full complement of AP classes in high school, including AP Calculus BC and the school’s inaugural AP computer science class. With this foundation, he graduated from the Massachusetts Institute of Technology last spring with a BS in computer science and engineering, a BS in mathematics, and a minor in music. He was elected to Phi Beta Kappa and two engineering honor societies, Tau Beta Pi and Eta Kappa Nu. He is in a one-year master’s degree program at MIT this year and will earn an MEng in computer science and engineering this spring. He plans to study mathematics and computer science at the University of Cambridge for his two-year Marshall Scholarship starting in the fall of 2019 and will then pursue a PhD in computer science to research applications of machine learning to the diagnosis and treatment of cancer. 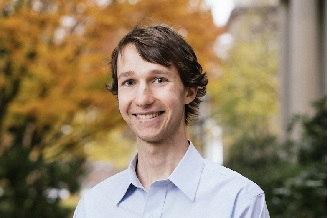 Kyle has engaged in extensive research in machine learning with Professor Regina Barzilay in MIT’s Computer Science and Artificial Intelligence Laboratory (CSAIL) and spent his junior and senior years on a joint project between CSAIL and the Breast Imaging Division of Massachusetts General Hospital on machine learning research to improve breast cancer detection in mammography. He co-authored a paper on the research that was published in the journal Radiology this year. As an undergraduate at MIT, Kyle was a TA for the 1,900 students in an online MIT Professional Education class in cybersecurity. He also taught an introductory machine learning course to university students in Kazakhstan and he participated in MIT’s Educational Studies Program for middle and high school students, teaching courses in the history of Ancient Rome, music theory, and search algorithms. In his summers, he was an intern at Microsoft in Seattle, a cancer biotech startup in San Francisco, and an AI company in Manhattan. As a master’s degree student, Kyle is developing machine-learning algorithms in the area of chemistry to predict molecular properties such as toxicity or solubility. The hope is to develop a property-prediction tool that will help chemists identify new drug candidates more rapidly. Kyle is a committed musician and has studied flute since he was in third grade, adding piccolo in seventh grade. He played in the Bronxville School concert bands each year from fourth grade through high school and also participated in NYSSMA, earning a place as principal piccoloist in the All-State Symphonic Band. He was an honors student at Hoff-Barthelson Music School and played in the student orchestra. At MIT, Kyle is in his fifth year playing flute and piccolo in the MIT Symphony Orchestra, having served as president for one year, and he premiered a flute concerto composed by his freshman-year roommate, Bertrand Stone. Kyle has received four awards from the MIT Music Department. Photo by Ian MacLellan, used with permission from MIT per Creative Commons Attribution Non-Commercial No Derivatives license. Editor's note: Kyle Swanson's mother is on the staff of MyhometownBronxville.